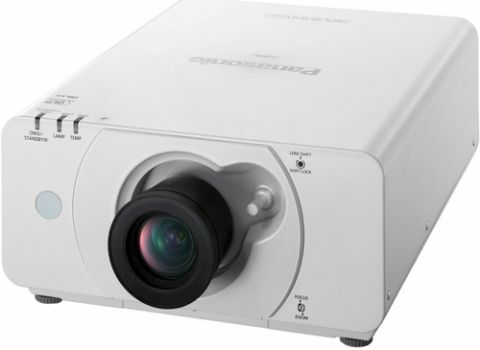 The Panasonic PT-DZ570U WUXGA Projector is flexible and powerful enough to thrive in a variety of working conditions. It is specifically designed to deal with full-HD widescreen sources, such as from a Blu-ray player. With a brightness of 4000 Lumens and a contrast ratio of 2000:1, the PT-DZ570U uses a single lamp and efficient focusing reflector to minimize consumption to only 415W. It has a widescreen aspect ratio and WUXGA resolution of 1920 x 1200 that are complimented by an increased functionality and a variety of features.The PT-DZ570U uses an RGB Booster to enhance color. It increases color brightness through Vivid Color Control technology. The lamp Modulation Drive System controls lamp intensity for each color. This optimizes light usage and obtains color balance without lowering brightness. 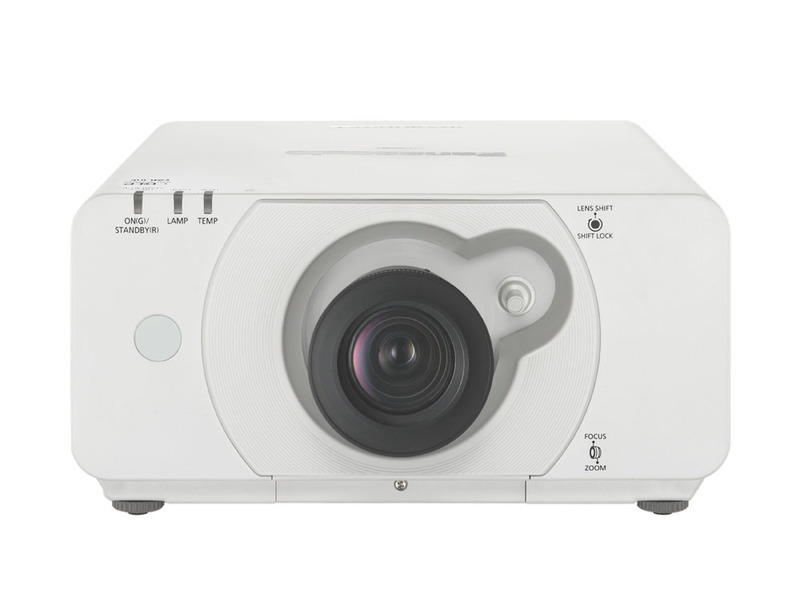 The PT-DZ570U also thrives in the daylight, by correcting image sharpness when projecting in light areas. The PT-DZ570U enjoys multiple input terminals, which enhance flexibility. There are HDMI and DVI-D inputs, as well as composite, RCA and S-video inputs. 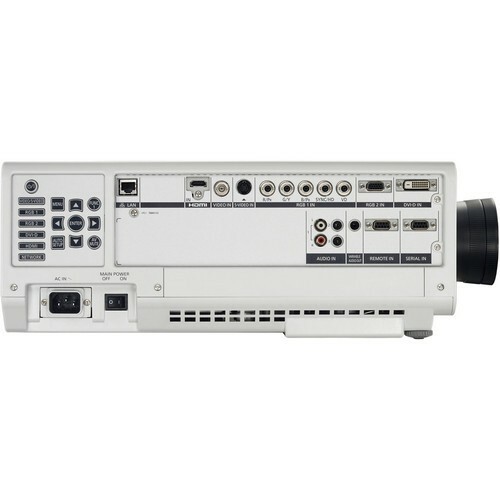 For network connection, the PT-DZ570U has an RS-232 and RJ45 terminal. 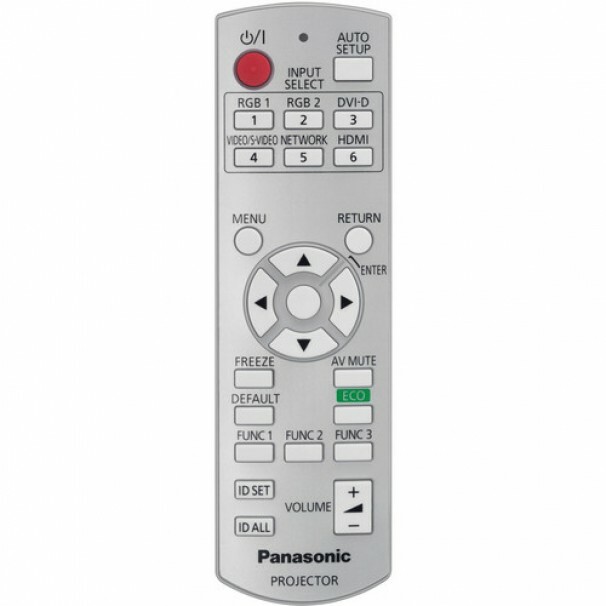 The RS-232 jack even has an Emulation feature that lets you replace an existing Panasonic projector on your network, without changing the control settings.The PT-DZ570U includes a web browser control for LAN operation. 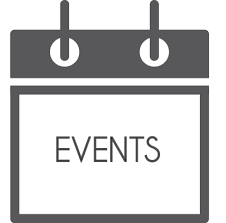 Through this connection, administrators can control and monitor multiple projectors at the same time. 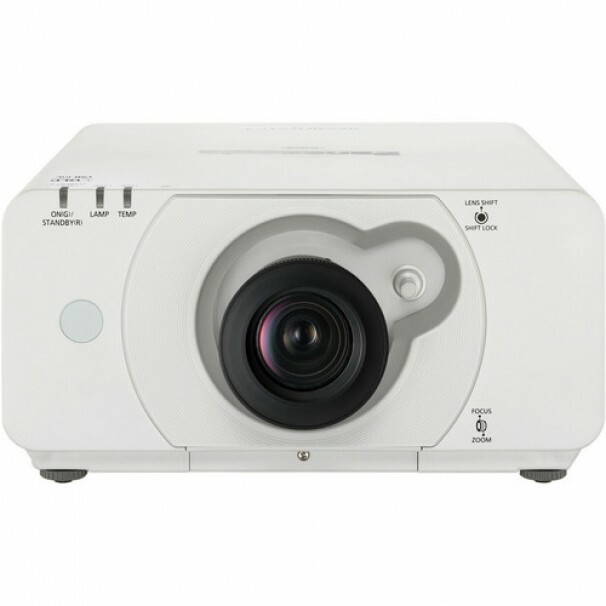 Any errors that occur at each projector are emailed back to the administrator’s computer. An optional wireless adapter (sold separately), lets you give wireless presentations from your laptop. When you’re finished, the projector reconnects to the LAN network automatically. When installing the PT-DZ570U, plenty of features aid with proper installation. 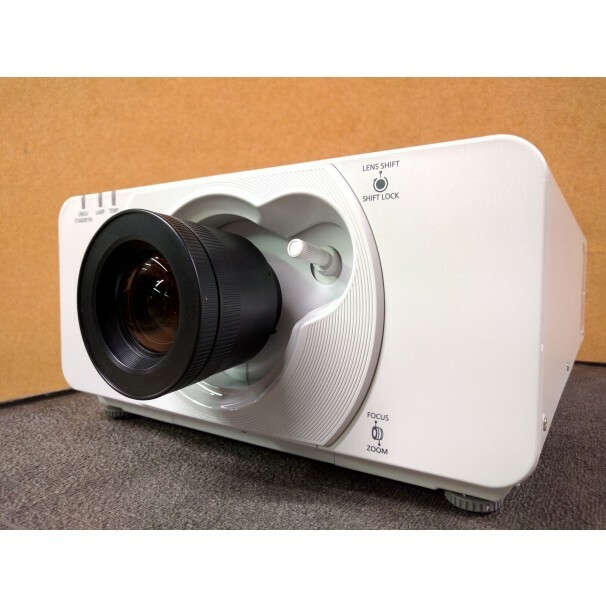 The horizontal and vertical lens shift will let you accommodate many room sizes and shapes and the zoom increases the chances that your existing ceiling mount will not need to be moved. The Flexible Angle feature lets you rotate the unit 360° vertically, to ensure angled installation is problem-free. 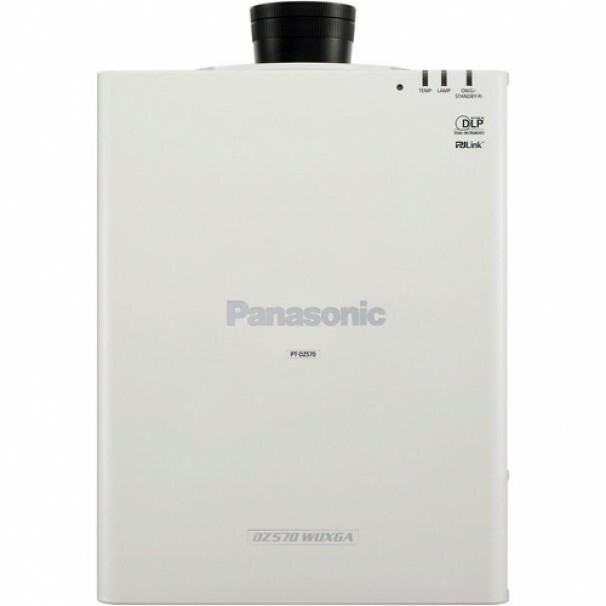 Panasonic’s cooling system allows installation even with ambient temperatures reaching up to 113° F. Panasonic has also included several features that limit maintenance. The Cooling system and dust-resistant design extend lamp and air-filter life to 2000 hours of operation. Plus, when the lamp is ready to be changed, the PT-DZ570U affords easy lamp replacement even when it is ceiling mounted. The rear hatch opens, making lamp replacement quick and simple.The lens-centered design also ensures that installation will be easy and not require multiple placements around the room to establish what works best. Comments: RGB Booster significantly improves color, Waveform Monitor, Daylight View optimizes sharpness and brightness according to the surroundings, Rec.709 Mode for HDTV Projection, the optional ET-WM200U Wireless Module allows wireless operation.